The Blues cruised past Pompey with a flurry of late goals and secured a comfortable FA Cup third-round victory. The west Londoners never looked in any real danger of coming a cropper at Stamford Bridge as they netted four times in the second period. Chelsea only had a Fernando Torres header to show from the first-half exertions as the 2008 winner proved tough opponents. 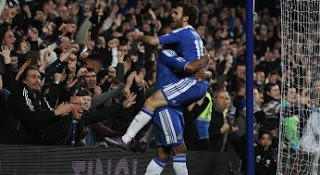 However, early in the second half Juan Mata directed home a Florent Malouda cross to give Andre Villas-Boas' side the lead. Portsmouth poured forward in search of the equaliser, which would have come in the 53rd minute was it not for last-ditch defending from Petr Cech and John Terry. However, that was as close as the npower Championship side came as Chelsea's superior class proved evident as Ramires grabbed a late brace and Frank Lampard scored deep into stoppage time. Villas-Boas named a strong-looking Chelsea line-up for the game, with Malouda the only change to the side that beat Wolves last Monday. Portsmouth made three alterations for the Stamford Bridge encounter, with Joel Ward and Greg Halford back from suspension and Ricardo Rocha returning from a calf injury. Many wrote off Michael Appleton's side before the match but they came close to breaking the deadlock afterjust 29 seconds, with Dave Kitson finding space to fire a shot across the face of goal. The effort spurred Chelsea into life, but they struggled to make their early dominance count, with several moves breaking down before they could get away a shot. Torres saw half-hearted appeals for a penalty turned down after a challenge by Jason Pearce during the opening 10 minutes, but came close to scoring soon after. Malouda, who looked bright in the opening exchanges, fired in a left-wing cross that was met by the Spain international, although Stephen Henderson managed to parry wide the goalbound effort. Aaron Mokoena saw a header of his own come close at the other end as Portsmouth looked for a breakthrough, before Mata blazed over when the home side returned to the attack. Chelsea were enjoying the lion's share of possession at Stamford Bridge but looked devoid of ideas going forward. The home side were reduced to audacious efforts as a result, including a long-range Ramires drive, before a misplaced pass allowed David Norris to get away a low 20-yard drive at the other end. Henderson then thwarted an onrushing Lampard, before referee Anthony Taylor called time on a largely uneventful first half. Villas-Boas looked frustrated with Chelsea's performance but his half-time pep talk had the desired effect as his side broke the deadlock 130 seconds after the restart. With Pompey appealing for a handball against Ashley Cole, the Blues took advantage as Malouda darted down the left flank and pulled back from the byline for Mata to turn in the effort from six yards. Portsmouth pushed forward in response to going behind as first captain Liam Lawrence curled a 20-yard free-kick agonisingly wide in the 50th minute, before three chances went begging during a penalty-box melee three minutes later. Marko Futacs saw a low effort stopped by the legs of Cech, before Ward's header was cleared off the line by Terry and then Cech stopped Futacs' second attempt. Appleton's side smelt blood and pushed forward in numbers, although that attacking intent left gaping holes at the back. Lampard had a shot blocked as he looked to extend Chelsea's advantage, before Henderson stopped a diving Ramires header. Portsmouth were becoming increasingly desperate as the half wore on, with Pearce heading over a Lawrence corner before the latter then blazed over wildly. The south coast side continued to press forward as the match came to a close, but Chelsea's victory was confirmed when Ramires tapped home from close range in the 85th minute. Mata's cross was headed goalwards by Torres and the Brazil international reacted quickly to poke home the loose ball. 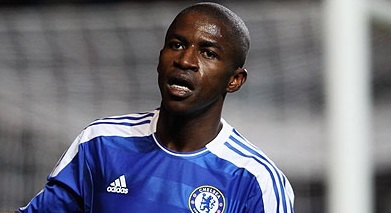 Two minutes later Ramires netted his second of the afternoon, latching onto a Torres ball through the middle before superbly flicking past Henderson. Portsmouth's collapse was completed in stoppage time as Lampard found space in the box to fire home the west Londoners' fourth.